Well, we're to that point now - a filler episode. 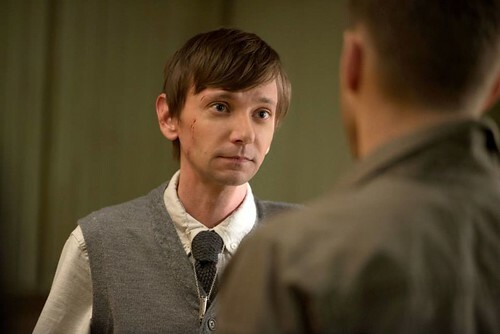 Granted, this was a filler episode with a bit more meat to it since it involved a previous guest star in the form of Garth, aka DJ Qualls, and was a step toward reconciliation between the brothers Winchester. 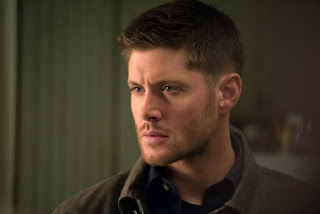 Still, not much to add to the main storyline other than Sam and Dean exchanging some information on what they've been up to in their separate lives lately. Anyway, on to this week's plot. Garth ends up in the hospital after getting hit by a car, which is after he was chased by a farmer with a shotgun through the woods. Sam and Dean both separately find him and end up having to work together to figure out what's going on with him. Turns out, some months back he was hunting a werewolf and was bitten while in the process of killing said werewolf. He had planned to kill himself, but instead met the new lady in his life, Bes? I think her name was Bes? Either that or Ves? We'll go with Bes for now. So, she brought him home and they got hitched. 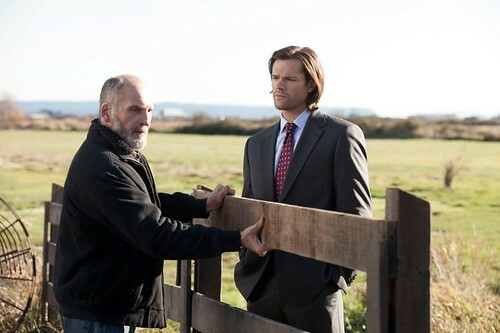 Sam, always in the suit. Dean, of course, is less than thrilled at this news, and would like to just go in there, silver bullets blazing, and kill the whole pack that Garth has been assimilated in to, but Sam is like, dude, let's listen to the dealio here. Because they're claiming they are peaceful and non-human-killing werewolves. Or, you know, lycanthropes, if you want to get politically correct about it. But, this is Supernatural, so things can't quite be all cherry pie happy times. When the local sheriff attacks them, and Garth and his lady go missing, it's time for the Winchesters to get into investigation mode. Apparently a small faction of this pack is part of some Ragnarok cult thing wherein they want to kill humans and take over the world. You know, that kind of cult. While the Bes' stepmom expounds on her grand villainous plan, it gives Dean time to come in and get to killing. Garth the werewolf, er, lycanthrope. So, all was not well in the land of the lycanthropes, but with the nefarious Ragnarok group done and dusted, Garth and his wife can go on living their lives without killing people, and perhaps without hunters trying to kill them. Are we amazed Garth came out of this unscathed? Remember that time Sam had to kill Madison because she was a werewolf, and how sad it was? I felt no such emotion in this episode, and she wasn't even a recurring character. Blah blah, the earlier seasons were better, blah. Anyway, the boys bid farewell to Garth, and have one of their patented roadside, by the car, end of episode, emotional round ups. Dean basically tells Sam that they work better together, and while Sam agrees that it helps them share the burden of all the crap, he does not agree that getting a couple of wins under their belt will help them mend their brotherly relationship. Though he doesn't really give any way of actually mending their relationship, he does agree to go on hunting together. 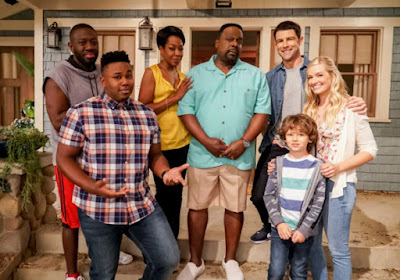 Next week it looks like we get a lighter episode, with Sam in a tank top?! Oh my goodness, one layer?! Whatever will we do? - What in the heck were Sam's "terms" there at the end? That Dean can't expect them to be brothers again or something? That was a bit unclear. - The Mark of Cain thing was kind of breezed over. Sam definitely seemed interested in it, but Dean just la-di-da'd out of talking about it. Perhaps whatever will happen to him because of said Mark will help to bring their relationship back together. - Did you like this turn of events for Garth? Personally it seemed a little out of nowhere to me. - Supernatural is likely going to be renewed for season 10. Am I alone in hoping it will be the last? Sam: He's a skinny, Ichabod Crane-kinda looking guy. Dean: Did he steal a car? Sam: Did he steal a car, naked? Not many quotes this week, a pretty serious episode.